Ken Ziffren is a co-founder of Ziffren Brittenham LLP, which commenced operations in December 1978. Ken is known industry wide for his groundbreaking deals on behalf of individuals in both the television and film business. His current practice consists primarily of representing corporate clients in connection with mergers and acquisitions, financing and distribution agreements in film, television and digital media. Ken grew up in Los Angeles and attended public schools here. He got his B.A. at Northwestern University in 1962, majoring in philosophy and political science. He then attended UCLA School of Law, became Editor-in-Chief of the Law Review, Order of the Coif, and was the first student from the law school chosen by Chief Justice Earl Warren as a law clerk. During the 1965-66 Term, he assisted in the drafting of the famous Miranda v. Arizona decision (“you have the right to remain silent, etc. ), among others. 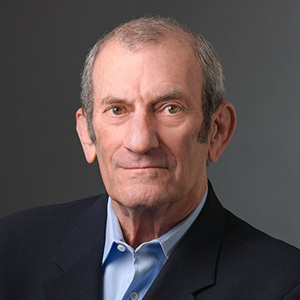 He came back to Los Angeles to work at his family’s law firm (Ziffren & Ziffren) from 1966-1978, where he started to focus on entertainment and media law (in addition to corporate, real estate and tax work). While there, he also developed an expertise in campaign reporting and disclosure law, and represented several state and federal candidates who ran for office in the 70s (including Governor Jerry Brown, Sen. John Tunney, Sen. Alan Cranston, Cong. Jim Corman, Howard Berman, etc.). In late 1978, he and Skip Brittenham teamed up to form the firm that has distinguished itself since then as the preeminent entertainment law firm in the nation. He was the managing partner of the firm for over 20 years. In 1998, he became an Adjunct Law Professor at UCLA School of Law, which has continued until the present,. He taught a seminar course in Network Television for several years, and has taught a seminar course called Motion Picture Distribution since 2000. He was named Alumnus of the Year for Professional Achievement for the law school in 1995, was the Chairman of the law school’s Advisory Board from 2008-2013, the Chairman of the school’s successful $100 million fundraising campaign, and still serves as Member of its Board of Advisors and its Centennial Campaign Cabinet. Over the years, he has been active in numerous charitable, civic and entertainment industry activities. He is a Board member of Public Counsel and the Skirball Foundation. Since February 2014, he acts as Senior Advisor to L.A. Mayor’s Office of Motion Picture and TV Production (“Film Czar”). He acted as neutral mediator in helping to resolve the five month WGA strike in 1988 and negotiated the Emmy awards for the TV Academy with the four networks in 2003 and 2011. He also lectures to industry groups on trends in the media and entertainment industry. He lives in Bel Air with his wife Ellen, and has a daughter, Laura Wasserman who has blessed him with two grandchildren. © Copyright 2019 Ziffren Brittenham LLP All rights reserved.